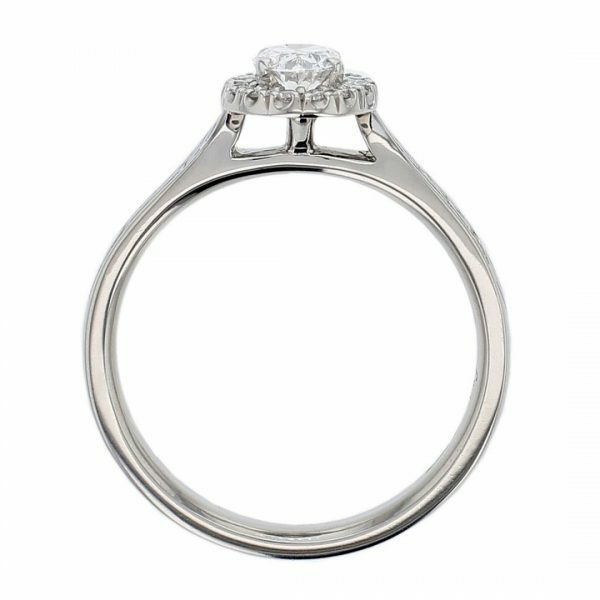 F colour, VS2 clarity, VG polish, VG symmetry. 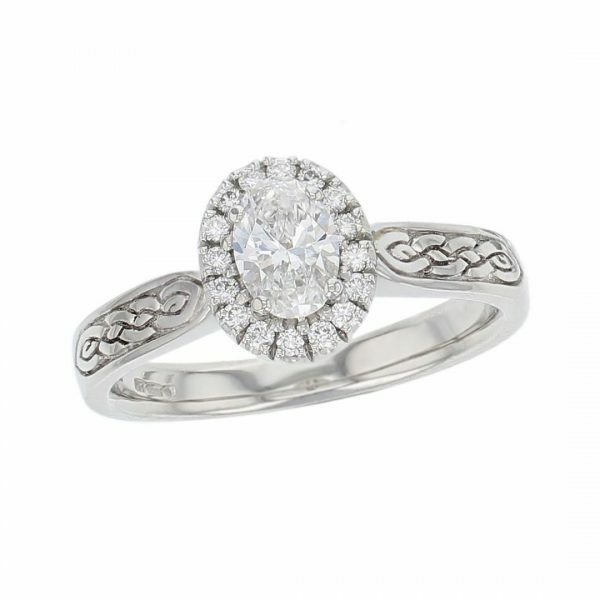 A claw set oval halo setting on a platinum band with deeply engraved celtic patterning on the shoulders. Size N 1/2, it can be adjusted to fit a range of finger sizes.